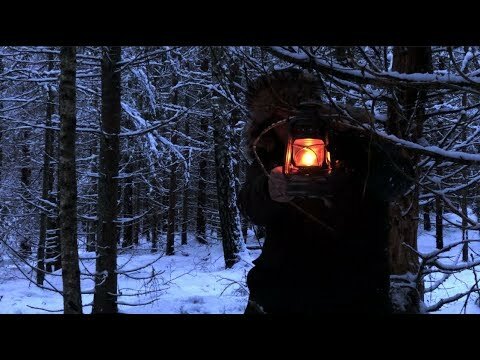 I haul my snow sled into the deep forest for 3 days winter camping, painting, bushcrafting and exploring. The forest is beautiful all year, but when covered in snow it truly becomes a wonderland. This time food was minimum, 2 sausages and some expired freeze dried pasta that tasted pretty gross. Temperatures were below zero but there was plenty of wood, the campfire tent did its job of reflecting the campfire heat all night onto me. Slept as comfortable as when I camp with a stove. More so I would say, since I prefer sleeping in open shelters to closed ones, the whole experience is more immersive that way. Nothing beats a warm campfire and being able to doze off looking at it.